eTutor SERVER running on the teacher-workstation. 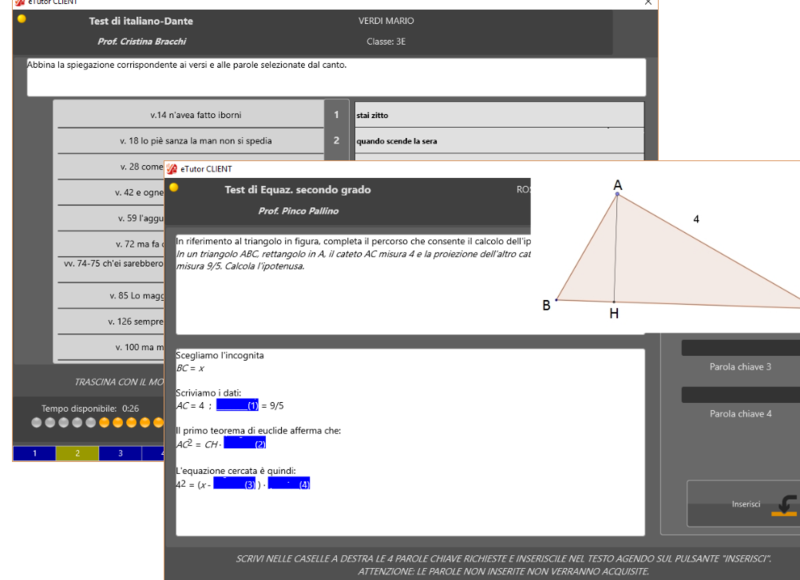 preview the remaing questions, if the teacher enabled it. To get the software and the user manual go to DOWNLOAD area. EpsilonSoft© 2019 - Tutti i diritti riservati.